기사 요약: 남북이 20일 판문점 북측 통일각에서 열린 실무접촉에서 가수 조용필과 윤도현, 정인, 서현, 걸 그룹 레드벨벳 등이 포함된 예술단이 4월 초에 평양에서 두 차례 공연하는 것으로 합의했다. 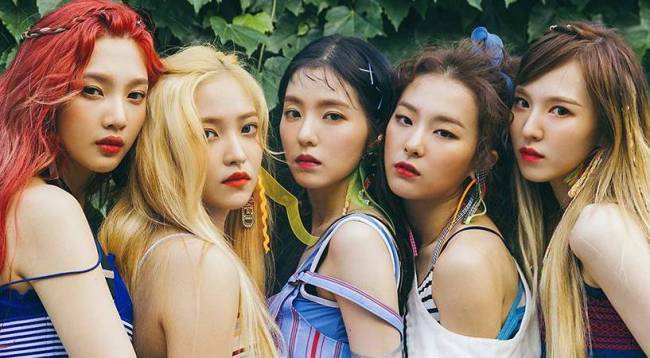 South Korea on Tuesday agreed to send a 160-member art troupe including pop singers Lee Sun-hee, Cho Yong-pil and girl group Red Velvet to Pyongyang for two concerts planned for early April, according to Seoul’s Ministry of Unification. The announcement is a result of working-level talks held between the two Koreas earlier in the day to hammer out details of the Pyongyang performances. The art troupe will hold two performances between March 31 and April 3 at the Ryugyong Chung Ju-yung Gymnasium and East Pyongyang Grande Theatre in Pyongyang, according to the statement. The specific schedule for the performances has yet to be announced. Lee Yun-sang, a singer-songwriter and producer professionally known as Yun Sang, headed the South Korean delegation to the working-level talks Tuesday. He has also been named the musical director of the South’s art troupe to Pyongyang, marking the first time for a South Korean entertainer to represent a delegation in inter-Korean talks. 기사 요약: 아모레퍼시픽은 중금속 '안티몬'의 허용 기준을 위반해 식품의약품안전처로부터 판매 중단 및 회수 조처가 내려진 아리따움과 에뛰 드하우스 제품을 교환 및 환불해준다고 밝혔다. South Korean cosmetics company Amorepacific apologized Tuesday after several of its cosmetics products were found to contain metal traces above the permissible level. According to the Ministry of Food and Drug Safety, six products, including skin concealers and eyebrow pencils from Aritaum and Etude House, cosmetics brands under Amorepacific, contained antimony exceeding the permissible level of 10 micrograms per gram. “We apologize for the incident, we should have put all our focus on quality assurance. We will do our best to prevent similar cases from happening again,” said Amorepacific in a statement. On Monday, the ministry banned sales of 13 cosmetics products sold at eight companies including Amorepacific, and ordered a recall. The company said customers who have products on the recall list can visit Aritaum or Etude House stores to get the products exchanged or refunded.